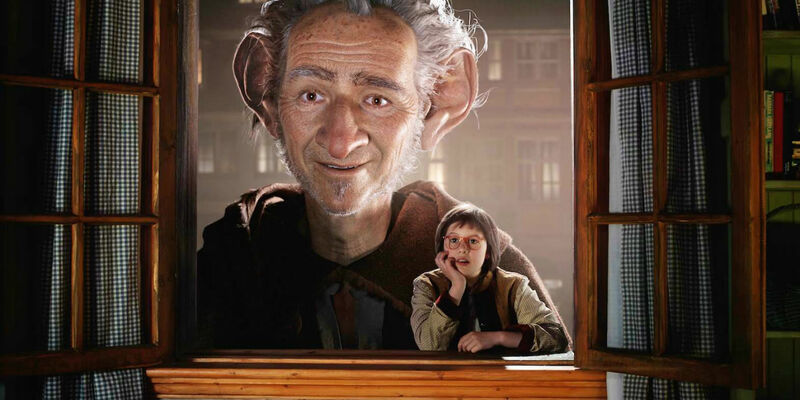 The BFG is Steven Spielberg’s next film, set for release in early July. The movie, an adaptation of a 1982 children’s book by Roald Dahl, stars Mark Rylance as the eponymous “big friendly giant,” a CGI creation who kidnaps/befriends a young girl named Sophie (Ruby Barnhill), and takes her on an adventure. The film, which for several years has taken up a spot on Spielberg’s always-long to-do list of potential projects, represents a return by the director to one of his favorite subjects - childlike wonderment - and also represents the director’s rare collaboration with Disney. BFG even reunites Spielberg with E.T. : The Extra Terrestrial screenwriter Melissa Mathison, earning her final screen credit following her passing from cancer last November. Rylance, for his part, went from relative obscurity to a Best Supporting Actor Oscar win for Spielberg’s 2015 historical drama, Bridge of Spies. A newly-released BFG featurette (see the video above) shows how Rylance came to play the title role in the film. The video also contains additional plot details and footage from the upcoming Spielberg-helmed Roald Dahl adaptation. In the minute-long BFG video, Rylance reveals that Spielberg approached the actor on the set of Bridge of Spies and asked him about reading for the lead role in his follow-up movie. Spielberg praises the actor while stating that he wanted the giant to look “super-photorealistic.” This was achieved through motion capture, with the actor on set. “The only way I could capture that was by animating Mark’s performance,” Spielberg said. The featurette also includes footage from the film that made the cut in the previously-released BFG theatrical trailers. So should we be excited about The BFG? Yes we should be. Spielberg is just about the best in the world at this sort of movie, and he hasn’t done anything like it for quite some time. The last time he and Mathison worked together on something, it worked our pretty well. And Rylance is a standout actor, last seen bringing depth and gravitas to the character of a Soviet spy, and everything about the trailers and featurette indicates that the film has a beautiful look. The film showed at Cannes and earned mostly positive reviews, too. Reasons for skepticism? Spielberg has misfired before; and while the reviews at Cannes were positive, they weren’t quite rapturous. And the lack of big-name stars could hurt the film's box office potential. The BFG will be released in U.S. theaters on July 1st, 2016.